Rurutia is a female J-pop singer/songwriter(Derived from the Tahitian word for "blissful rain"). She began her career in 2001 with the release of 'Itoshigo yo' when she was signed to Toshiba-EMI. She has released a total of 4 regular albums and 10 singles thus far. Rurutia is an intensely private artist; most aspects of her life - such as her age and her real name - are not known to the public. This fact, added to her whispered vocals, creates a unique and mysterious atmosphere around her, her pseudonym, Rurutia, means 'blissful rain' in tahiti. All that is known about Rurutia are the statistics of her current rising career. In 2001, on a deal with Toshiba-EMI, she released her first single 'Itoshigo yo' on October 6th. The single did fairly well due to a music video, and was followed soon after with Lost Butterfly, which would become her best-selling single. With two hit songs under her belt, Rurutia launched her first album ° on March 6th, 2002. Even with only two released singles from the album, she did extremely well in the Japanese music market. Rurutia quickly released her third single, Yuruginai Utsukushii Mono on June 26th, a beautiful and dramatic song that became an instant hit. Three months after this, she released Shujaku no Sora, a more rock oriented song for her style. Featured on the CD single was a short film directed and written by Rurutia, adding even more talents to her resume. In January 2003, Rurutia released Shine, which was soon followed by her second full length album, Water Forest. Ten months after the release of Water Forest, a long wait for many Rurutia followers, the single Toroimerai hit the market with two stunning songs. The song "Tsuki Senicha" breaks through most Jpop barriers, creating a trademark sound that is hard to imitate and easily recognizable. Toroimerai is the only single from Water Forest, and disappeared rapidly from music stores across Japan. After a ten month wait, Rurutia released a new single, Primary, followed closely by her next album, Meme. The album saw less success than previous albums, but still sold generally well.With the help of arranger Taka Satoh, Rurutia and Satoh collaborated on Umezu Kazou Gekijou Rurutia Tracks, a musical soundtrack for a Japanese short horror film, featuring Rurutia songs redone and remixed. In mid 2005, Rurutia made the decision to leave Toshiba-EMI for a lesser known record company, Phoerix Records, due to creative differences and lack of control. Her first single on the new label, Spinel, was released November 21st, 2005, to an anxious fanbase.Rurutia maintains her mystery by doing no TV interviews, photoshoots (except for albums), and limited music videos. This intrigues her fans and keep people guessing for what is coming next. 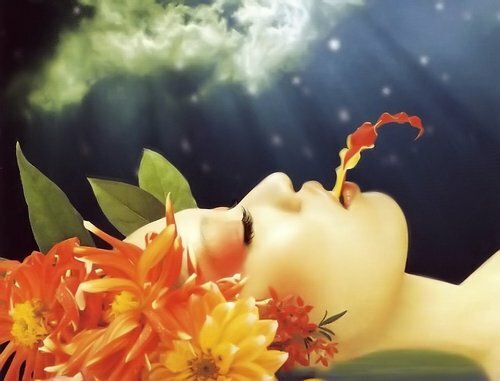 Since the release of Spinel in 2005, she added several records to her discography, including her fifth album Chorion, which has a beautiful cover depicting her as a fairy. Opus has been available since June 2007. With a few remix and instrumental versions of older songs like Arabesque (transformed into a ballad), this mini-album only holds two new titles but the remix are of quality. In 2008, she released her mini-album Hyousa. She did two new songs on that mini album namely Hyousa and Muyuuka. Both songs are stunningly awesome. In 2009 of February 25, she released another epically awesome album of 12 songs with 6 songs, brand new. The album is called Seirios. The six new songs are stunningly awesome. [Jpop] Rurutia Announces Her 7th Album "NODE from R"!